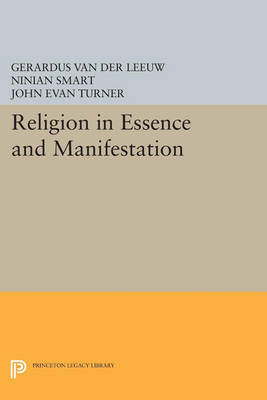 In this book van der Leeuw discusses the horizontal path to God and the vertical paths descending from God and ascending to Him. If God Himself appears, it is in a totally different manner, which results not in intelligible utterance, but in proclamation; and it is with this that theology has to deal." Originally published in 1986. The Princeton Legacy Library uses the latest print-on-demand technology to again make available previously out-of-print books from the distinguished backlist of Princeton University Press. These editions preserve the original texts of these important books while presenting them in durable paperback and hardcover editions. The goal of the Princeton Legacy Library is to vastly increase access to the rich scholarly heritage found in the thousands of books published by Princeton University Press since its founding in 1905.